ZenGuard is a snoring mouthpiece which is made by ZenSleep. It's a tongue stabilizing device (TSD), which means that it's a mouthpiece which holds your tongue in place to prevent it from falling backwards while you sleep. Holding the tongue in place reduces snoring for those whose tongue contributes to their snoring. Most people who snore will benefit from keeping their tongue from falling back over their airway. Where can I buy ZenGuard? 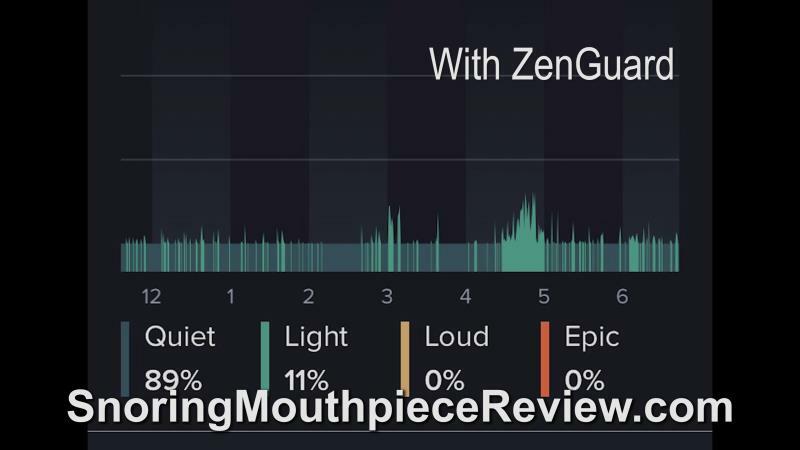 ZenGuard instantly stops snoring by properly positioning the tongue gently forward, preventing it from falling back and obstructing the airway and eliminating snoring the first night you wear it. ZenGuard specifically used to stop snoring originating from the throat and mouth. What's in the ZenGuard box? When you order ZenGuard, you get the mouthpiece and its case. 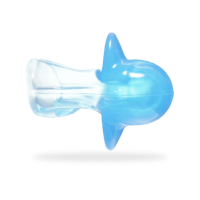 If you order one of ZenSleep's other packages, your order may include a blindfold, chin strap, ear plugs and nasal dilators in addition to the mouthpiece. Does ZenGuard work for sleep apnea? Yes, ZenGuard may work for you if you have mild to moderate sleep apnea. ZenGuard should not be used if you have severe sleep apnea, however. If my tongue doesn't extend beyond my lips, can I use ZenGuard? No. A patient whose tongue does nto extend beyond their lips will be unable to use ZenGuard or any tongue retaining mouthpiece. What side effects are possible from using ZenGuard? Can I use ZenGuard if I have a nasal obstruction? No. Studies indicate that ZenGuard is not effective for patient with nasal obstruction. I have more saliva when I use ZenGuard, is this normal? It is normal to have some excess saliva when wearing ZenGuard. This should go away with time, about 60% of users experience excess saliva and mention that it does away within a few weeks. My tongue is sensitive from wearing ZenGuard, what can I do? If you have too much suction, your tongue may become sore or change color. You can fix this by decreasing the amount of suction. You do this by tilting or twisting the mouthpiece while it's on your tongue. You can also try to pull the mouthpiece away from your lips. Sensitivity to the device should go away with time. Is ZenGuard cleared by the FDA? No, there are no records that indicate that ZenGuard has been cleared by the FDA. How long will ZenGuard last? ZenGuard does not mention having a specific lifespan. Their product has a 90-day return policy however, so expect the device the last several months at least. Are there different sizes of ZenGuard? No. There is only 1 size of ZenGuard. No. ZenGuard is BPA free. 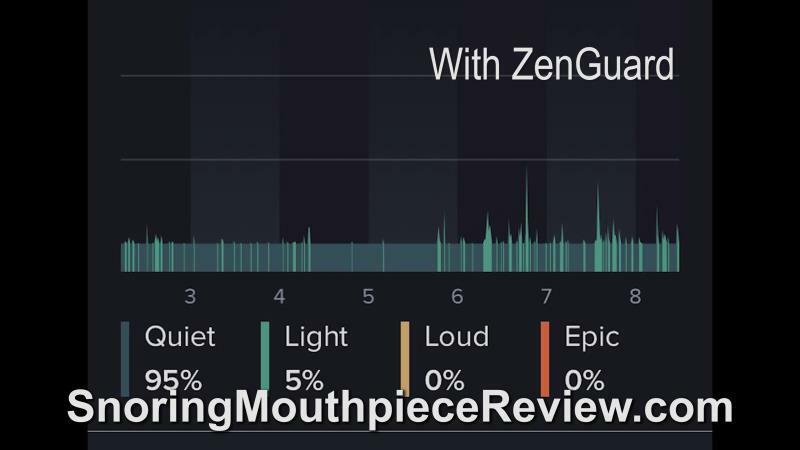 How does ZenGuard compare to other mouthpieces? ZenGuard is a tongue stabilizing device, as opposed to a mandibular advancement device, which uses your teeth instead of your tongue to open your airway. Another tongue mouthpiece for snoring is Good Morning Snore Solution. ZenGuard is different from Good Morning Snore Solution because it doesn't have any material which touches your gums or your teeth. 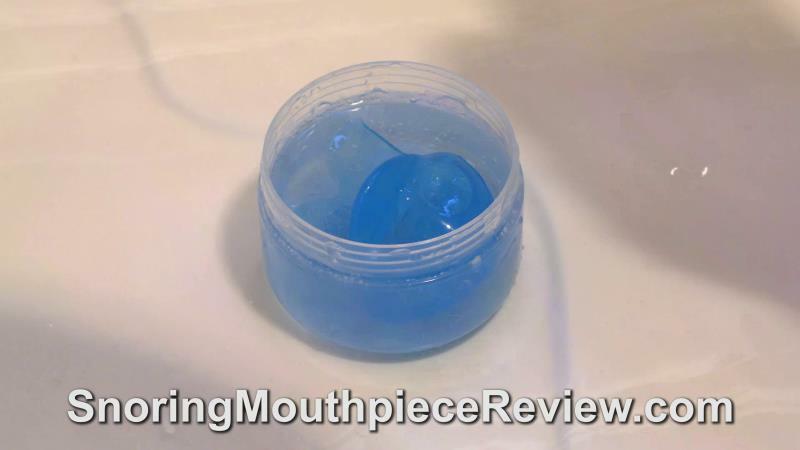 Some people have mentioned that the design of Good Morning Snore Solution has caused receeding gum lines due to constant contact with the gums. This is less likely to happen with ZenGuard because it doesn't touch your gums. ZenGuard is similar, in terms of comfort, to Good Morning Snore Solution. ZenGuard is essentially the same as AveoTSD. The color of ZenGuard is different and it's packaged with a larger snoring kit however. A patient wore Zenguard for 11 nights. Before wearing Zenguard, the patient recorded snoring while they slept using a snoring app. 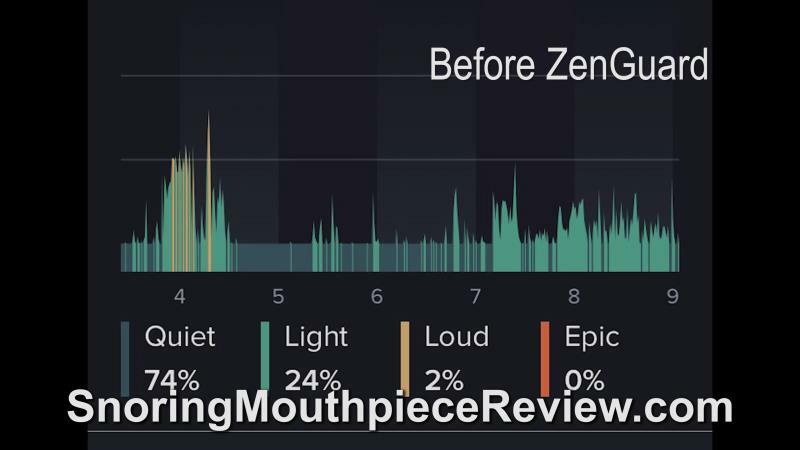 After wearing Zenguard, the patient recorded less snoring. The following results, recorded with the CMS50E pulse oximeter, indicate that the patient received adequate oxygen while they slept at night. Any recordings under the red line in the chart indicate problems. 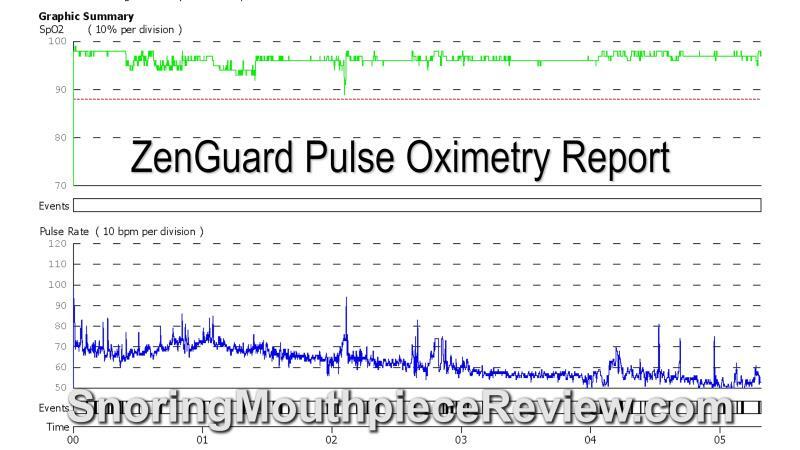 After wearing ZenGuard, the patient mentioned that their lips were slightly numb from the mouthpiece resting on them during the night. They also mentioned that their tongue was slightly sore but that this went away. The mouthpiece was reported as mostly comfortable. 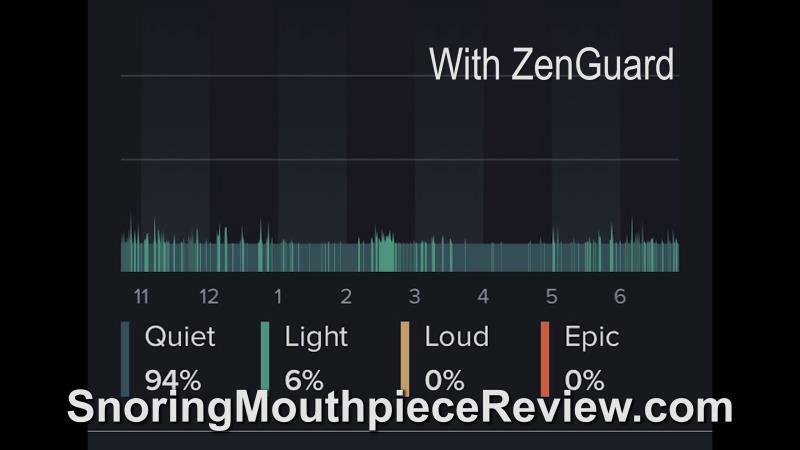 Note: Before wearing ZenGuard to sleep, you should practice wearing it a few times before going to sleep. 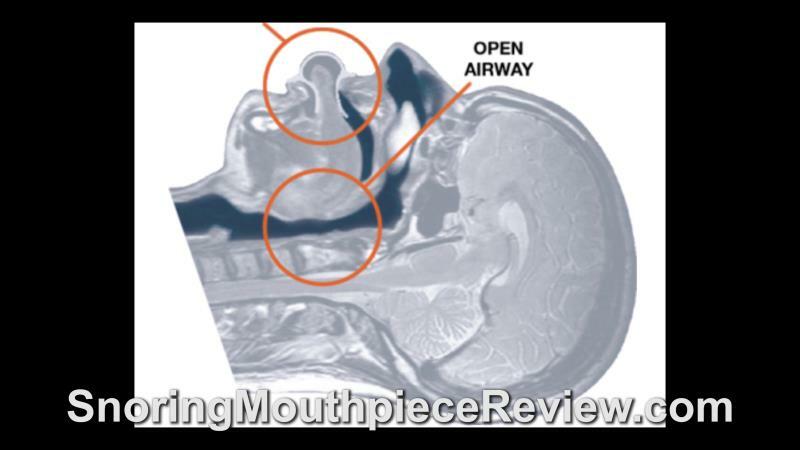 Keep the mouthpiece in for less than 10 minutes when you do this. You should wait 24 hours after practicing with the mouthpiece before you wear it to sleep. You should feel your tongue get sucked in. If you need more suction, gently pump the bulb. To remove the device, use your thumb and forefinger to press on the sides. This should break the suction. Pull the device off your tongue. Note: If the device does not have a firm impression, repeat steps 1-5. Also, re-adjust the setting to the level that feels comfortable if needed. What if ZenGuard falls out during the night? If you have too little suction while wearing the mouthpiece, it may fall out while wearing it. To increase the amount of suction, use your thumbs and forefinger to press down on the bulb. Make sure the tip of your tongue hits the back of the bulb before you release your finger and thumb. You may need to try this a few times until you get the right amount of suction. Less than 10% of users have this problem. $97. There are various kits that are sold by Zensleep which may include a different price. What is the return policy for ZenGuard? ZenGuard has a 90-day return policy. No, SnoreRx is not accredited by the BBB (Better Business Bureau). How do you clean ZenGuard? You should clean ZenGuard each morning using hot water. At least once a week you should clean ZenGuard using cold water and a certified cleaning solution. Certified cleaning products include those approved for dentures, retainers or sports mouth guards. Caution: Excessively hot water or harsh cleaners should be avoided to prevent damanging the mouthpiece. You should not store the device in mouthwash or any chemical that contains alcohol because it will damage the device and invalidate the warranty. ZenGuard is a mouthpiece which you can use to stop snoring. It doesn't require custom fitting and can be worn if you have some dental issues like dentures or missing teeth. ZenGuard takes some getting used to. It may cause some tongue soreness or excess saliva during the first week or so of wearing it. DO NOT PURCHASE THIS ITEM! Not Acceditated by BBB and is not FDA approved.... toxic plastic item with toxic smell. I returned and was not refunded, now they will not respond to me by phone or email! SCAM company and toxic product!!! Buyer beware!! If it doesn't work for you, you probably won't get your money back despite their guarantee. They don't answer the phone, they refuse to give a return number, often they dont return emails, then they say they can't track the item if you returned it, and in my case, they didn't send a receipt and then billed me TWICE but were able to send an incomplete invoice to my credit card company when I disputed the charges, so I could not fight it, even though dates were missing. DO NOT TRUST THIS COMPANY!